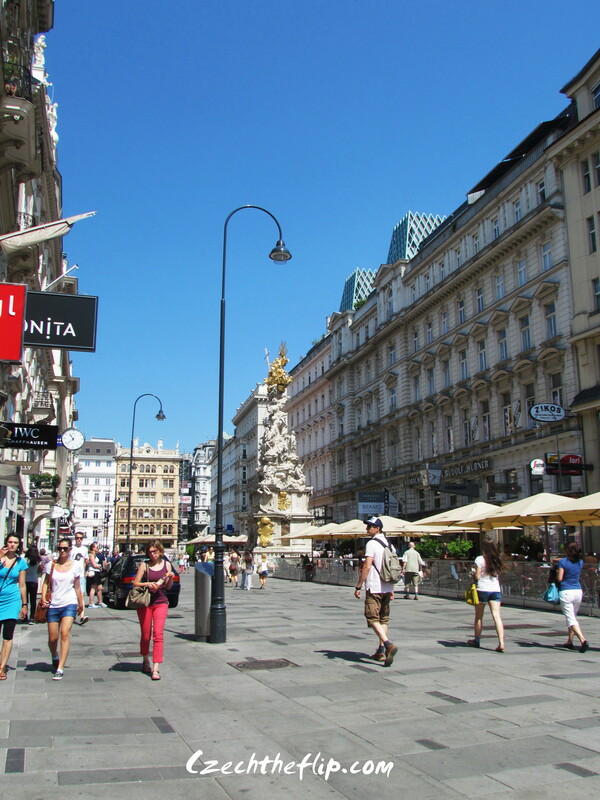 One of our weekend travel plans this year included a trip to Vienna. This past weekend, we made it happen. Thanks to 2 days of great weather, everything went well as planned. 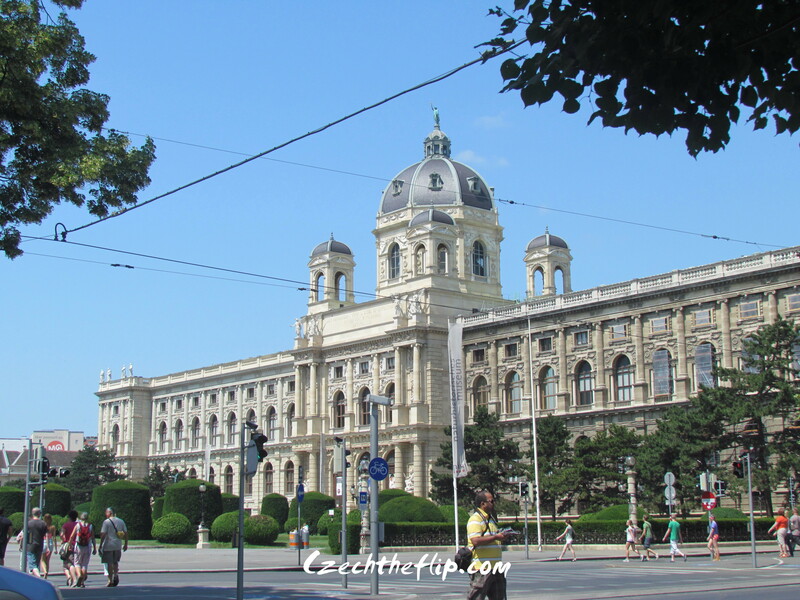 Our trip started Friday night as we drove 4 hours from Kolin to Vienna. It was a surprisingly smooth trip with minimal traffic. The following day, we started out early. First on our list was a visit to St. Stephen’s Cathedral. 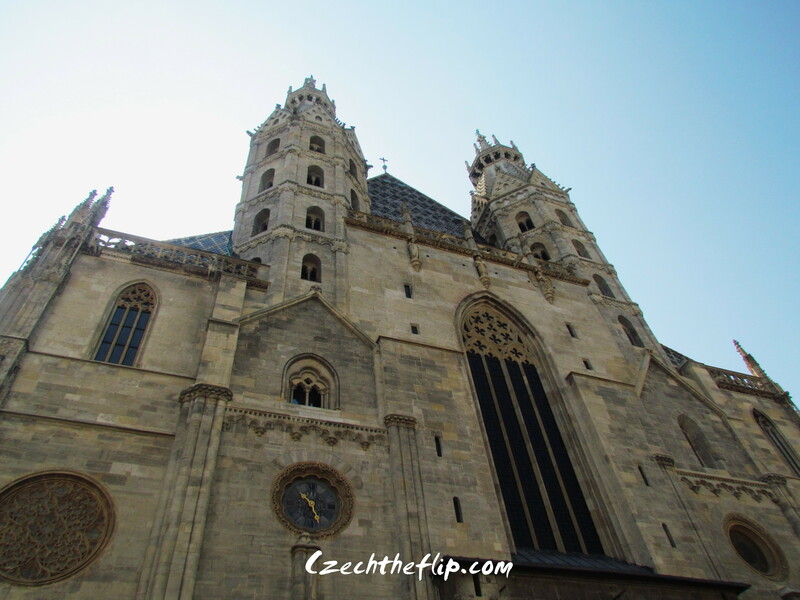 What was impressive in this cathedral is its prominent gothic structure. 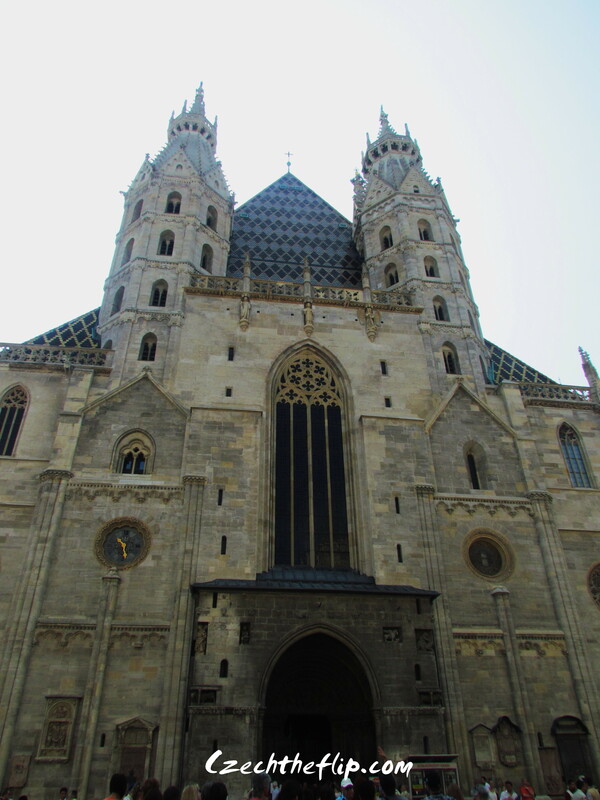 Today, it is the seat of the Archbishop and the site for most of Vienna’s religious and social gatherings. 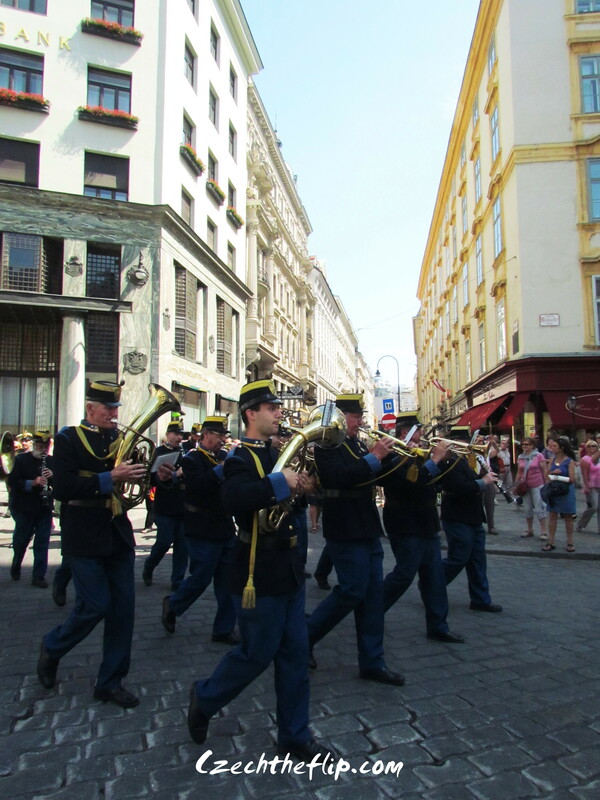 In close proximity to the cathedral are historical buildings, fountains and statues. 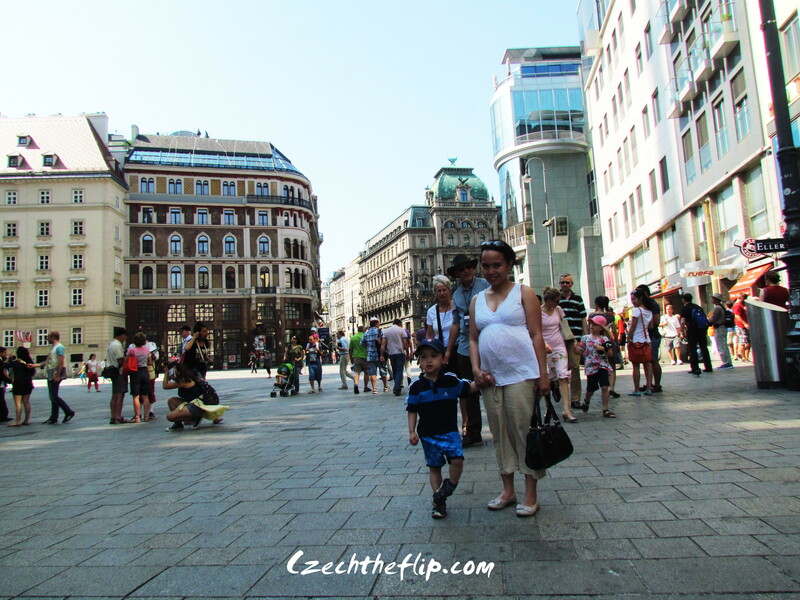 Just like the Old Town Square in Prague, it is highly commercialized and loaded with tourists. …we found ourselves in front of the Imperial Palace. 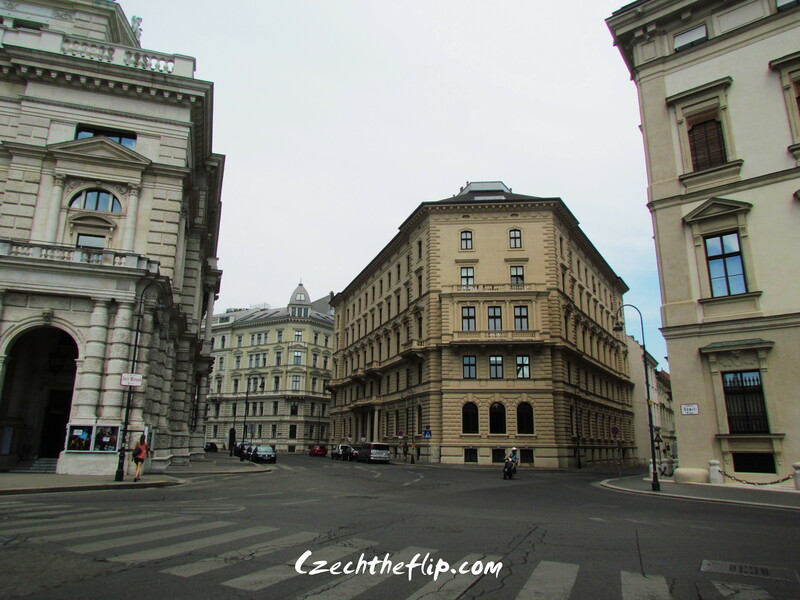 It was here where the great empire of the Habsburg monarchy was ruled from. I am not a history fanatic, but after visiting a lot of castles here in Czech and knowing whom it belongs to, I became increasingly interested with the Habsburg Monarchy. It was interesting for me to see where the Imperial seat was. 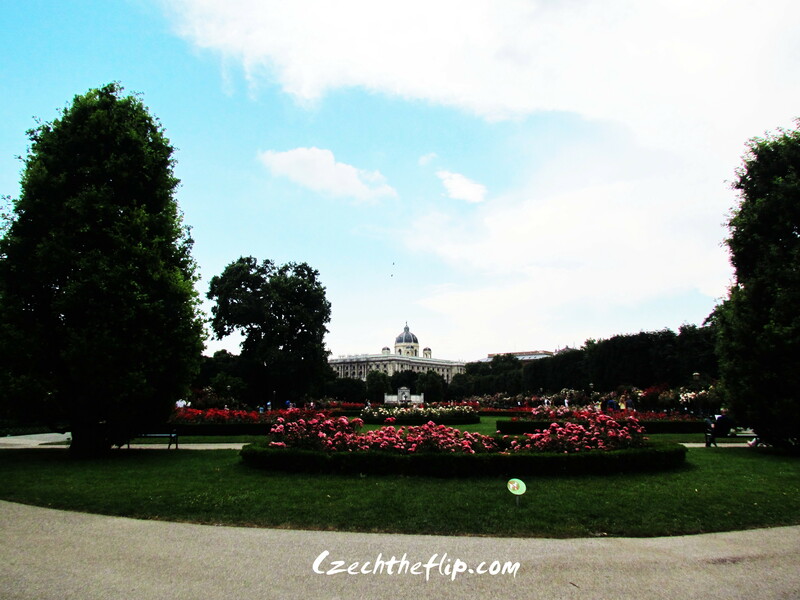 At present, this palace is now used as the residence of the President of Vienna. 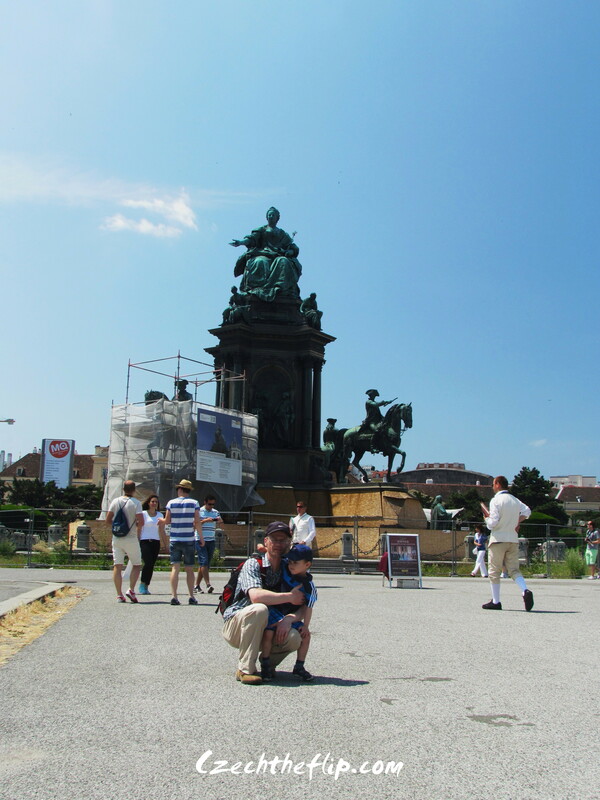 Next on our itinerary was a walk to the statue of the greatest empress in Viennese history, Maria Theresa, mother of the iconic princess Marie Antoinette of France. It was here where several guys wearing Mozart costumes where inviting us to a Mozart concert. It would have been a nice concert. Unfortunately, we haven’t planned for anything of that sort. The statue was also in very close proximity to the Natural History Museum. 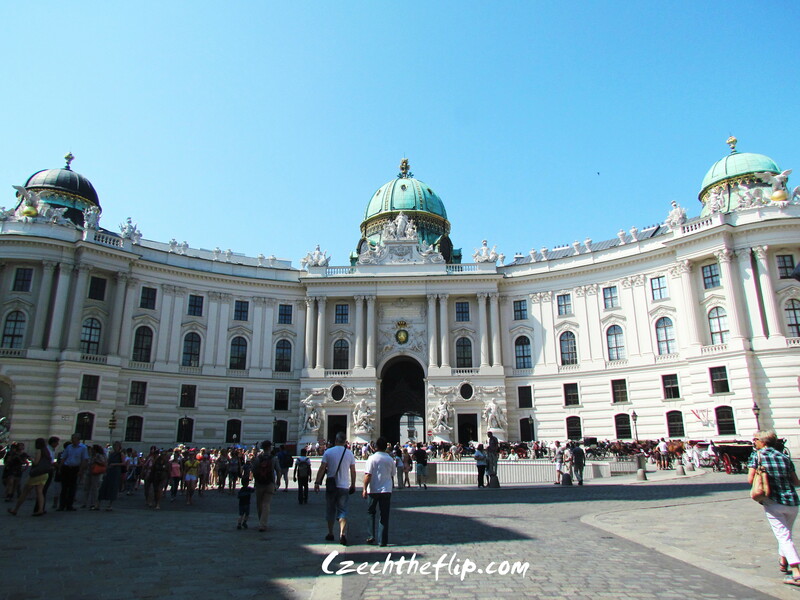 We then walked through the Viennese Parliament building. 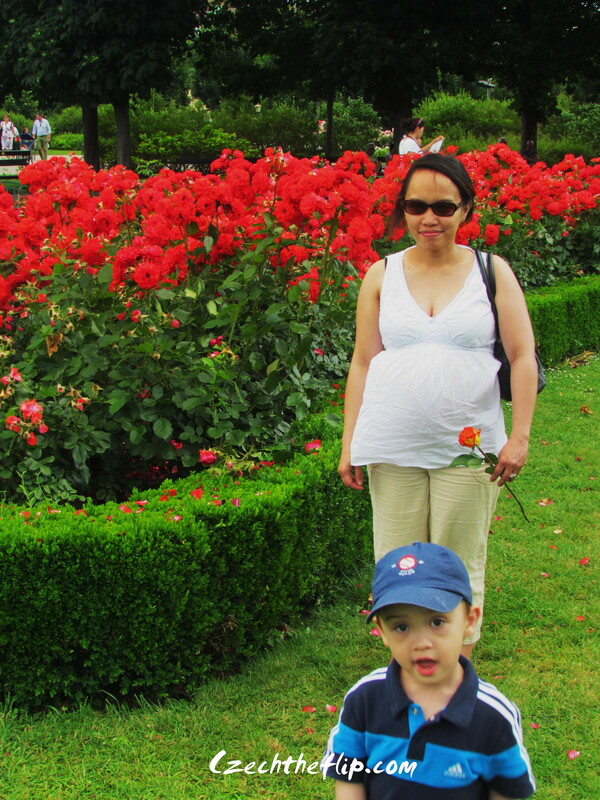 Right in front of it was a Botanical rose garden where we took a quick rest and admired the beauty of the flowers. It was very relaxing that I almost fell asleep in one of the benches under the trees. My son had to drag me up so we can continue on our journey. 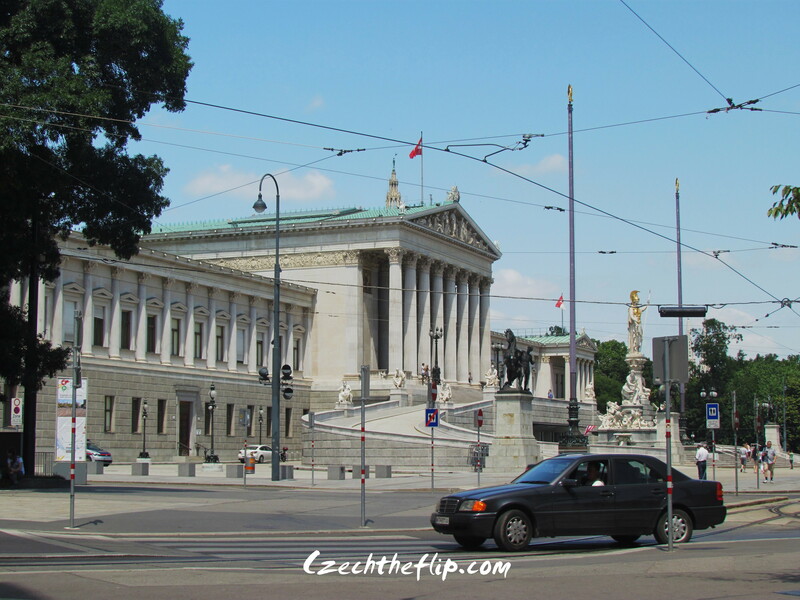 After another long walk passing through embassies and other historical buildings…. 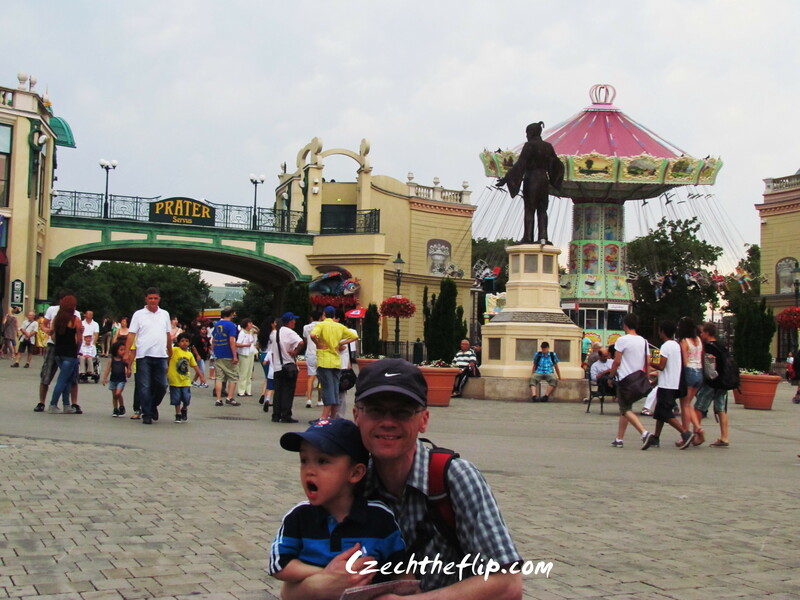 …we finally arrived at the last place on this day’s itinerary – the Prater amusement park. 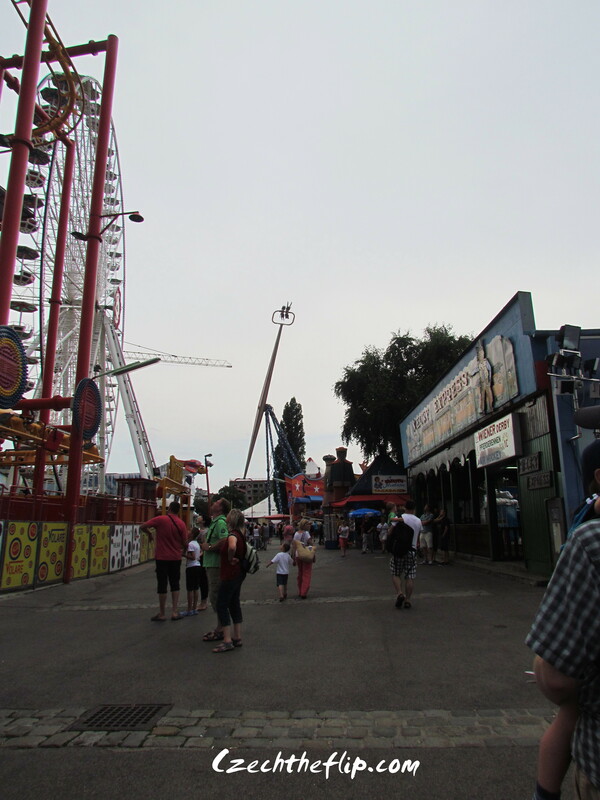 One of its greatest attractions is the giant ferris wheel. By this time I was already very tired from all the walking. Of course we had the option of taking public transport, but we didn’t want to miss anything, so travelling on foot to these sights proved to be the best option. My boys had a lot of fun absorbing the sights and that was all I ever needed to make me happy. 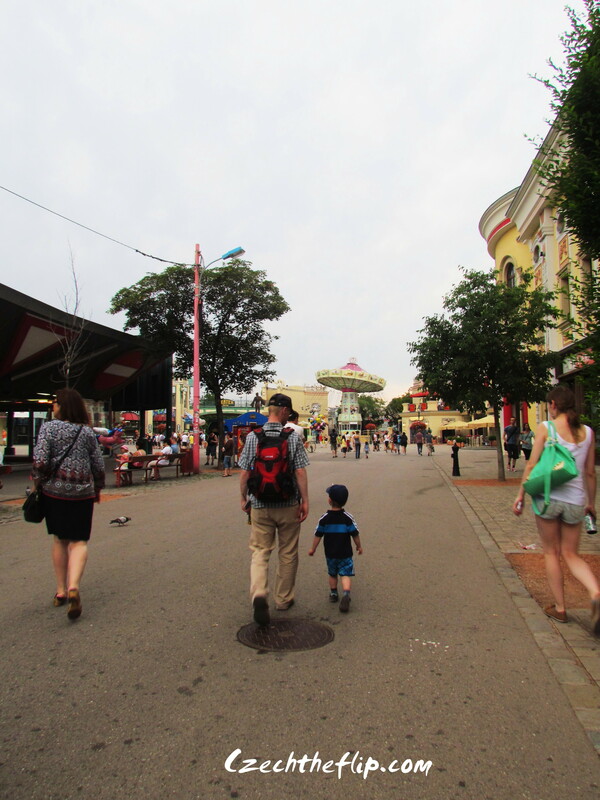 After going through Prater, we called it a day and went back to our hotel eager for the next day’s trip.